Hello! 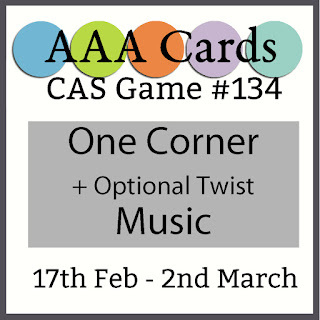 There is a new challenge at AAA Cards. My card uses the image of a little girl from MFT. 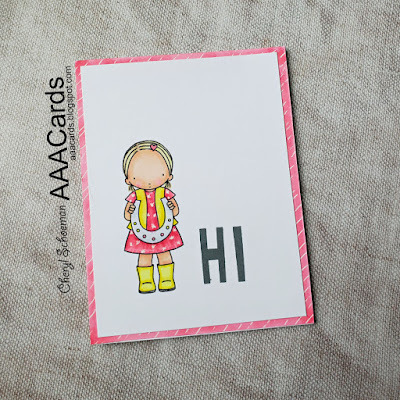 I stamped and colored the little girl with copics. For the background matting, I colored the edges with a pink copic and used a white gel pen to add a pattern. 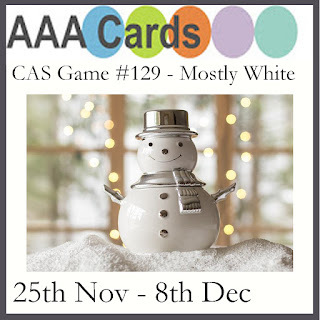 This challenge is being sponsored by Craftyscrappers. 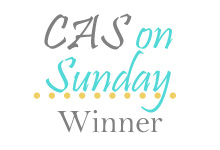 Hope you can play along :) Thanks for stopping by. Hi everyone. 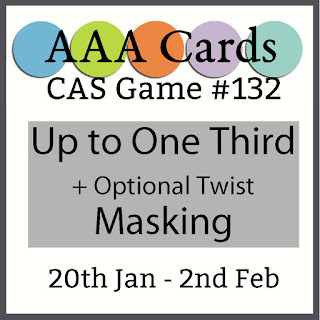 It is a new challenge at AAA Cards and this challenge is sponsored by Uniko. 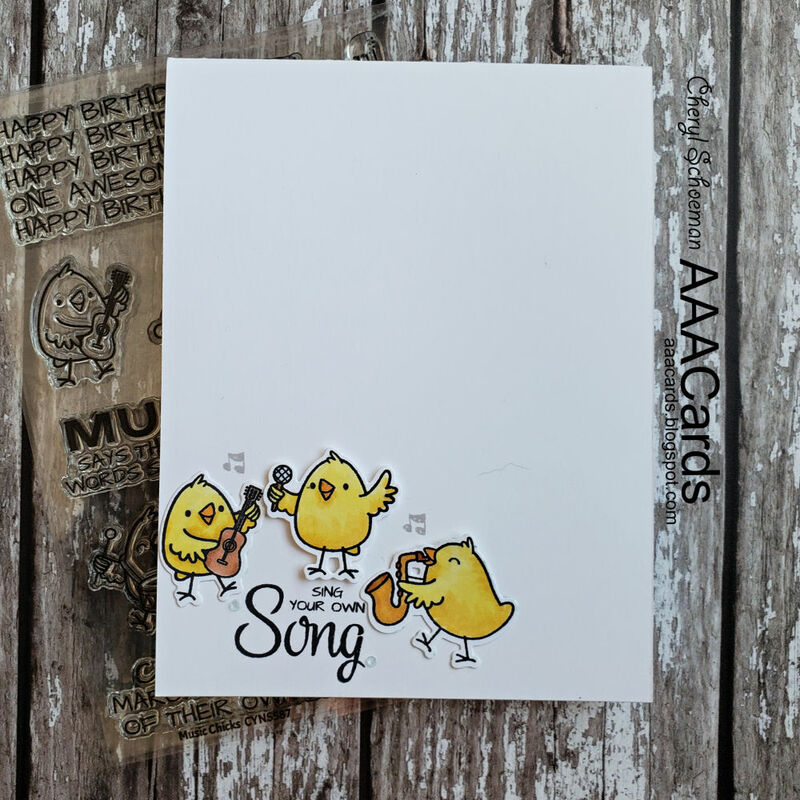 For my card, I used cute little chicks playing instruments. 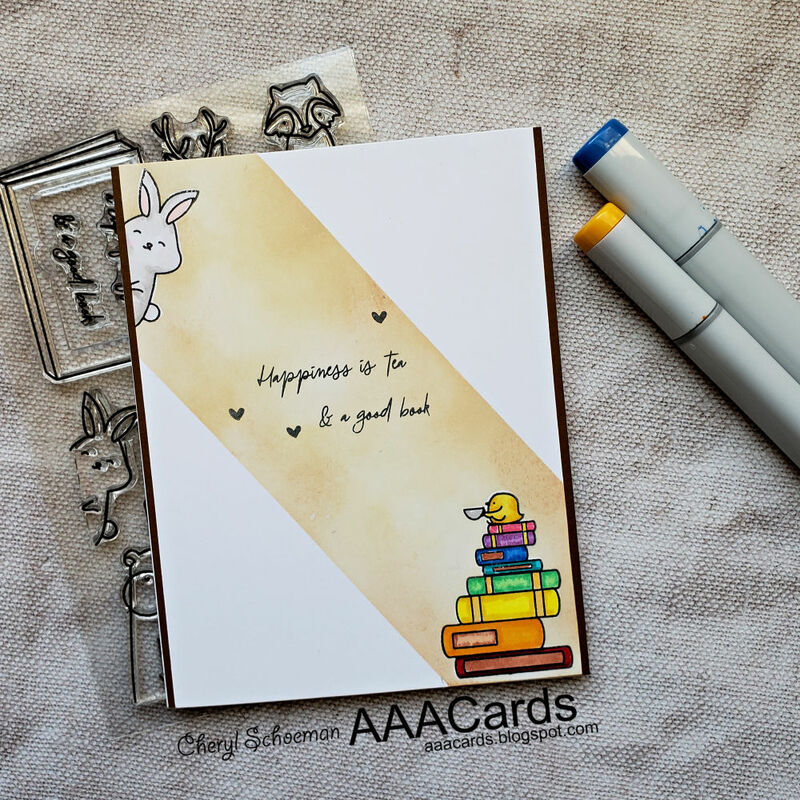 To start my card, I stamped and colored the chicks with copics. 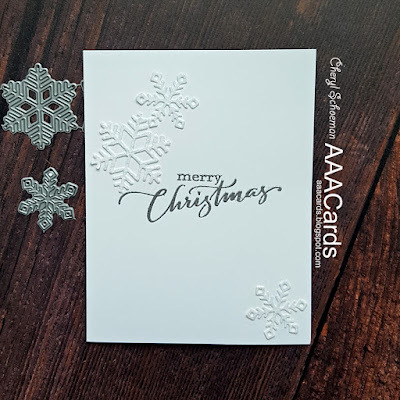 Then I used the matching dies to cut them out. After stamping the sentiment in the corner, I place the chicks around them using some foam tape to prop up the one in the middle. 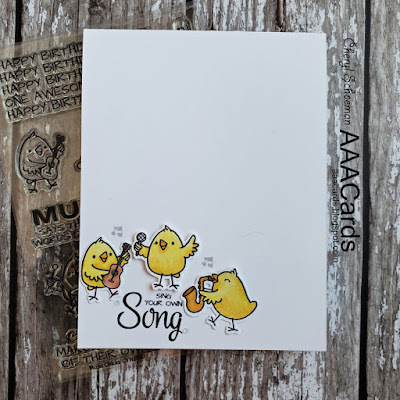 I stamped little music notes in light gray around the chicks. Hello! 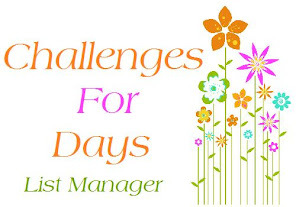 Today is the beginning of another challenge at AAA Cards. 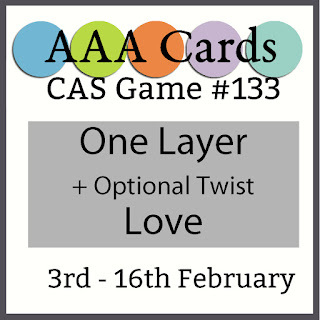 This is a one layer card challenge with an option of using the theme of love. Here is my take for the challenge. The challenge this week is sponsored by STAMPlorations. 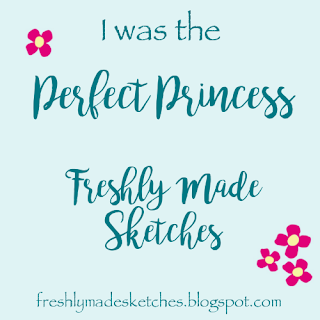 Hope to see what you create! 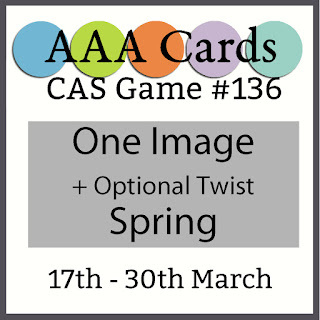 It is time for a new challenge at AAA Cards and starting with this challenge the themes will have an optional twist. This challenge is a sketch with an optional twist of pastel colors. 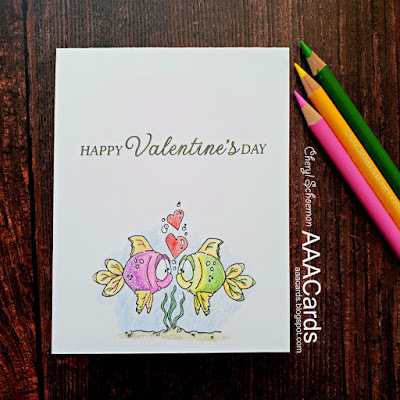 Here is my card using the below sketch and pastel colors. 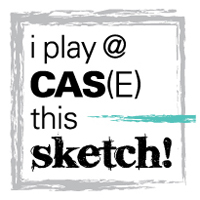 This is a great CAS sketch! 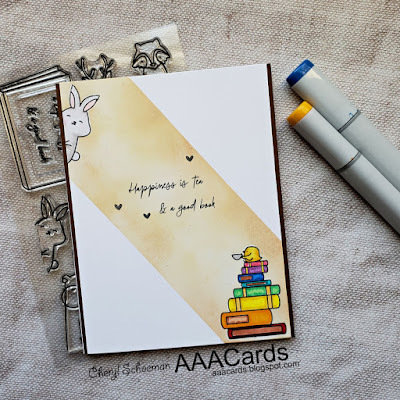 I started by taking a top folding A2 white card and using my misti I stamped the paint swipe in the three colors. 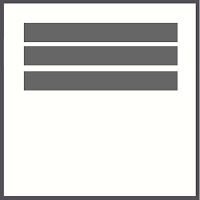 On the middle stripe I switched the direction of the paint swipe. 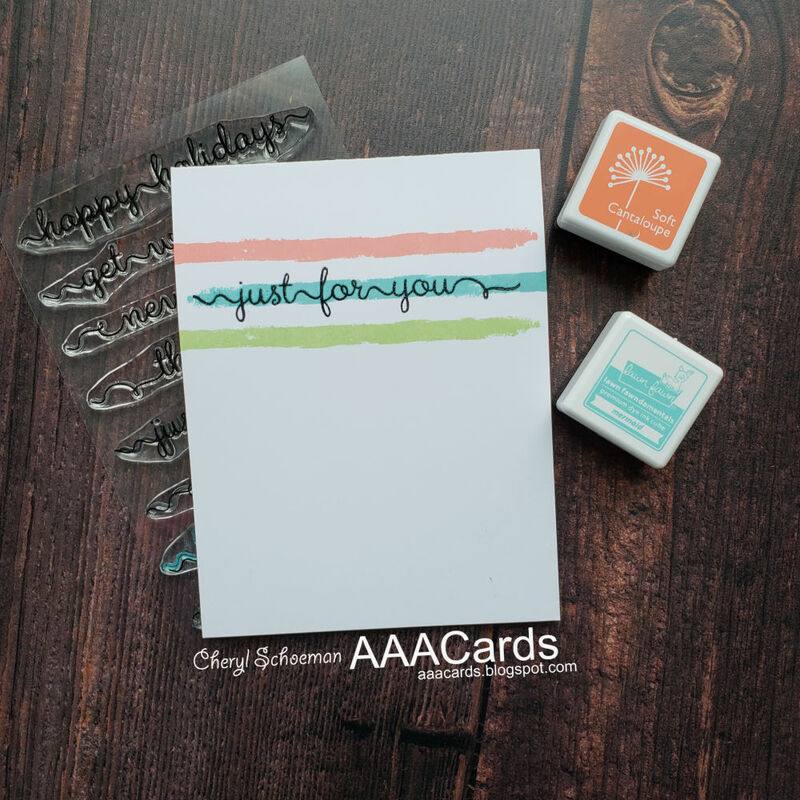 Then I stamped and heat embossed the sentiment in the middle. 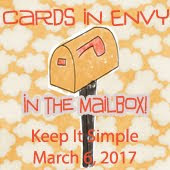 I hope you get inspired by the design team's cards and join us for this challenge. Thanks for stopping by! Hi everyone! 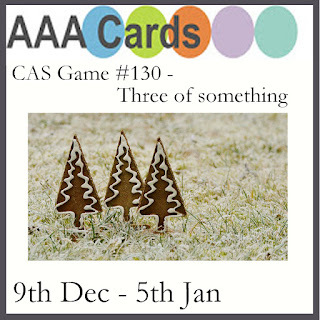 A new challenge at AAA Cards is looking for 'Three of Something'. 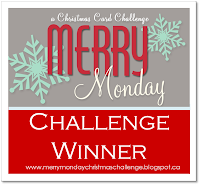 This challenge's timeline is a little longer for the holidays and will be going through 5 January. I have another holiday card for this challenge and used a really beautiful layering stamp to make three ornaments. 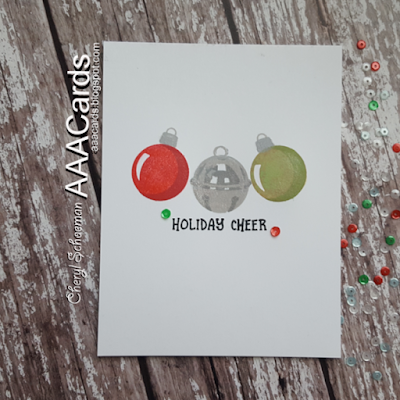 I stamped the bell in the middle first and then added the colored ornaments on either side for a one layer card. 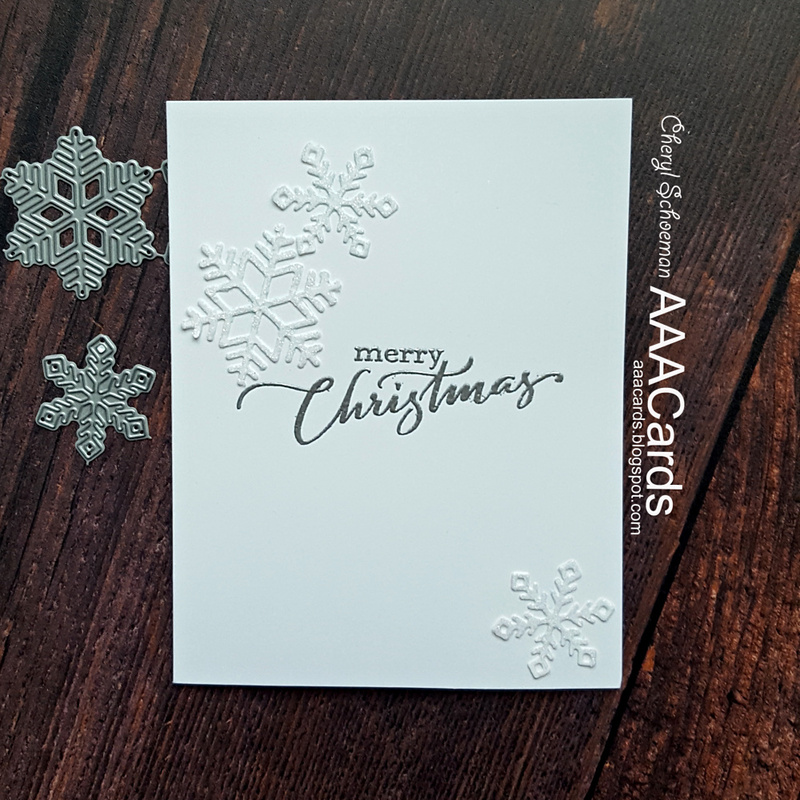 The sentiment was added underneath and then a couple of sequins to finish it off.